There's nothing quite like enjoying the warmth of your home when there's rough weather outside. But what if your heater isn't working when it should? What if it has broken down in the worst of times and you are forced to frantically search for a contractor who can come without delay? Some companies might not make emergency heater repairs, saying that it doesn't fit their schedule. Boerne Air Conditioning Experts, on the other hand, are ready to make an arrival in the shortest possible timeframe if a client needs us to. The ways through which a heater can malfunction are as varied as the heaters themselves. Barring firewood, heaters can work on gas, electricity or both, and there's no generalizing when it comes to mapping a repair trajectory. Mobile electric heaters are easier to repair as it's usually the minor parts that have gone down – for example, while oil comprises most of an oil-filled radiator, their breakdowns are usually related to thermostat malfunctions or an issue with the delicate wiring. Static heaters – those that are mounted on walls – are usually harder to work with and might require additional hours to complete. No problem, though – our technicians will work as long as it takes for you to get your heating back. Gas heaters are a little more problematic because, useful as it is, gas can also be a very dangerous substance. While every heater repair should be done by someone with sufficient expertise, gas heaters in particular should only be handled by those who won't make any mistakes. Of course, any broken down heater can be dangerous in several ways and could lead to a damaging house fire. 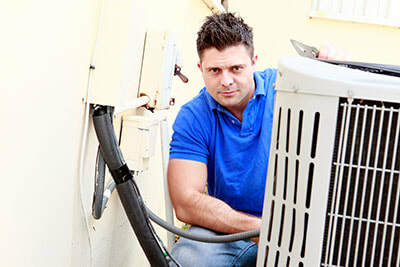 That is why we insist our customers shut down any damaged heater as soon as they notice an issue and call us right away. In most cases, our technicians will be able to reach you on the same day and perform repairs immediately. While our schedule can sometimes fill up, we always make room for customers who have an immediate need for assistance. 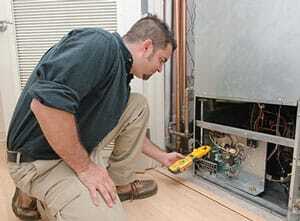 We will also do our best to salvage your heater whenever possible. It's true that the cost of repair can sometimes outweigh the item's actual price, but this is rarely the case with quality heaters. In fact, this idea likely comes from contractors who either charge too much or are too eager to replace the customer's heater with one of their own. Sure, it's profitable for the company, but not the customer, and customers are what's most important to us. We believe there's nothing like reputation to get a local business ahead, so we make sure every job we're on is customer-oriented. If you've got a broken down heater but it isn't winter time yet, don't wait around – give us a call and have us fix it ahead of schedule. You never know when the next bout of cold weather is gonna hit, and when it does, you'll be glad you had Boerne Air Conditioning Pros get your heater in order ahead of time.